Heliopolis University buildings are surrounded by rich green areas, which provide a healthy environment and an appropriate atmosphere to practise physical exercises. 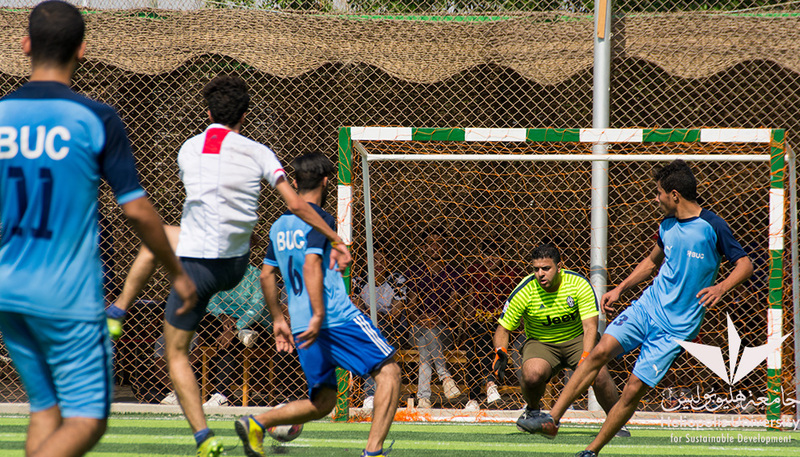 Since we recognize the importance of sports for leading a healthy life and maintaining a physical balance, the university focuses on the development of sporting excellence and active participation in various sports events and competitions. We provide outstanding opportunities for students and staff members to develop their sports interests and abilities and involve themselves in diverse activities based on their preferences. Dressing and fitting Rooms and showers. Teams’ and players’ seating areas.